Goddess Saraswati is an embodiment of knowledge, truth and purity. 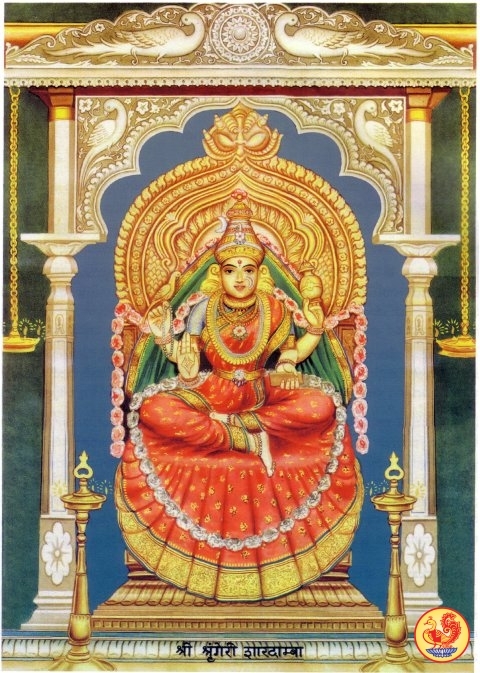 She is considered to be the Goddess of Education as per Hindu mythology. White is the color of Goddess Saraswati. She is idolized as the most beautiful women wearing a pure white saree, sitting on a white lotus or swan, holding the holy musical instrument Veena. White symbolizes purity. Apart from knowledge people pray to her for blessings to excel in the musical field. There are a few legends which are associated for the birth of Goddess Saraswati. As per an ancient purana called the Matsya, it is believed that long back Lord Brahma wanted to create the world and hence he underwent deep penance to seek powers for the same. At that time, his body got divided into two parts, one make and the other female. It is said that the female part took the form of Lord Saraswati who eventually married Lord Brahma. Another legend tells that when Lord Brahma opened his mouth in the process of creating the universe, Goddess Saraswati was magically born from his mouth and was seen in his tongue. Still another version exists which unfolds the fact that Lord Brahma had created Saraswati who was a figment of his imagination. However, she turned out to be so beautiful, that the Lord grew four faces representing four directions and a head on top of it to ensure that he could follow her whenever she went. 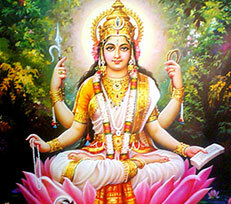 Since, then the Goddess has been worshipped as God of wisdom and knowledge. Some of the noteworthy temples of Goddess Saraswati are located in South India. 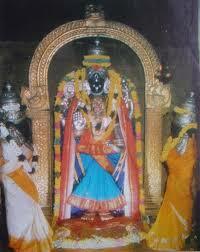 In the state of Andhra Pradesh three significant temples are located which are dedicated to the Goddess. Saraswati temple in Basar is the biggest and the most eminent temple which attracts thousands of devotees and tourists all year round. 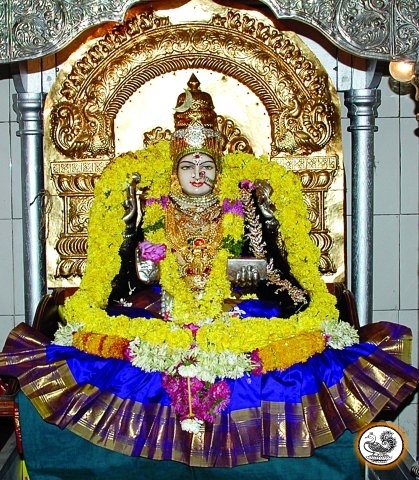 In addition the other two temples are Saraswati Kshetramu and Sri Vidya Sarasswati which is located in wargal in the state of Andhra Pradesh. An ancient temple is also located in Kuthanur in the state of Tamil Nadu which is considered to be very auspicious. In northern India, a famous temple is dedicated to Lord Saraswati which is located in the sacred place of Pushkar in Rajasthan. Saraswati pooja is one of the most significant puja's which is held in the month of February every year. This is celebrated throughout India. Yellow vastra is offered to Maasaraswati and books are also keptnear her feet in order to seek blessings for education. This puja is observed in almost all the educational institutes like schools and colleges. Saraswati puja is also performed on certain days of the Navratri. On saptami, Puja avahan is done which is followed by a grand main puja on the Ashtami. On Mahanavmi, Uttara Puja is offered to Lord Sarswati and on VijayaDashami, Visarjana takes place. In the state of Gujarat, Saraswati puja is observed on the KartikPurnima day. In south India especially in the state of Tamil Nadu, puja of Goddess Sasraswati is done along with their famous Ayudha Puja.